Lifestyle retailers share their Pre-Budget expectations. Rahul Akkara, Vice President Marketing, Siyaram Silk Mills Ltd says, "Developing, approving and displaying sample garments, (not for sale) is an essential and integrated part of the textile industry where the products moves across several hands without any commercial transaction involving any consideration. 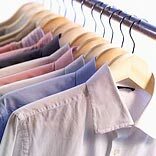 Since the excise duty on fibre or yarn, a key input in making fabrics from which garments are derived, has gone up to 12 from 4 per cent in the past five years, is it possible for the budget to explore a possible exemption of a fixed amount of samples from the mandatory duties and provide relief to the textile industry. Also considering that textile industry is the second largest provider of employment after agriculture, particularly so with women employees in the garment segment, the government can ensure some relief to the sector by rationalising duties and ensure that the slowdown does not impact the employment for women and upset their empowerment process." Jaiprakash Desai, CEO, Metro Shoes said, "We hope the government is more forthcoming towards the footwear sector this year. As a representative of the footwear retail sector, we also do hope the financial year 2013-14, sees concessions in excise duty, at par with comparable industries. We expect an abatement at 70% of MRP along with Optional CenVat at 4% of ex-factory price without input CenVat credit. It would also be beneficial if there is clarity on rates and implementation roadmap for the GST."